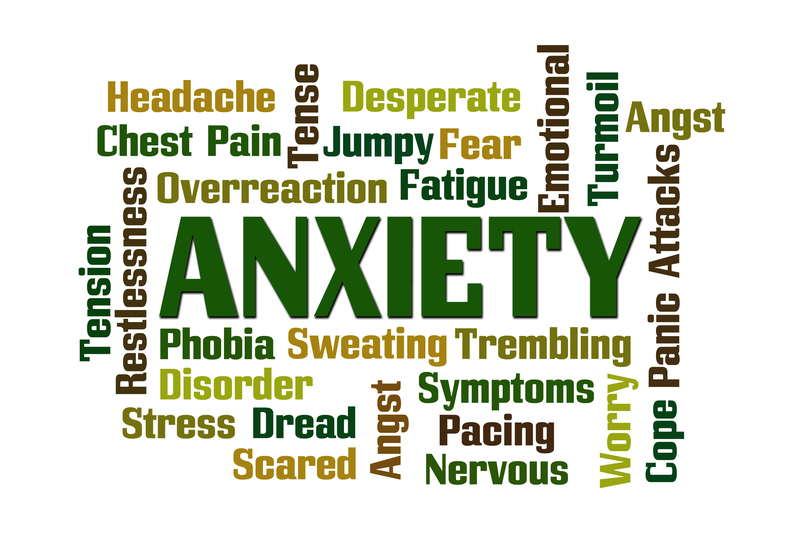 Anxiety in people doesn't comes with a warning signs or something, a little sign is common to be kept inside, but reoccuring anxietic attacks has to be taken care of..
Anxiety or getting anxiety feelings or attacks in medical terms is denoted as a kind of mental disorder which impacts physical as well as emotional being of a person at great risk. Anxiety disorders are many types, but for me, anxiety became deal of my everyday life. Because since my childhood I have been an anxious person and had to face it often. But as per I think feeling anxietic is a natural type of feeling which occurs when we are doing big things or publicly representing something or just thinking about our big break in life or something we want to achieve, we all hope for good and good returns, but expect as well that something shouldn’t go wrong or when we started feeling negative or awkward about something, anxiety takes place. When I got anxious, I could remember when I was told to talk to an unknown person, as I am kind of an introvert person, so it became harder for me to do so. Very well I could remember that moment, while holding glasses of water, I became scared that moment, that glasses fell off my hands as my whole body was like vibrating or shaking, I ran to my room and I ran to my room and I was sweating. So still now, if ever I face any kind of anxiety or nervousness, my breath becomes slow, heart beats so fast that I could clearly listen to this, sweating with a red face. · Drinking cold water to get calm down. · Don’t move your hands and legs much, under five minutes of anxietic attack as it could cause mild pain as already your body is within vibrate mode or you could feel like current waves flowing through in. · Change or try to divert/calm mood listening to your music. · The best way proved to me is doing light exercise, taking walks on an open ground containing fresh air and green nature. I have been till now in my 20s just facing temporary anxietic attacks and I believe, better way of overcoming these anxietic attacks is to face and stand strong to the things which make you feel anxious. And getting anxious before delivering first time presentation, meeting an unknown person, as a student giving an exam or giving interviews is being seen common in all of us. Anxiety could take up big place in our lives, if over-burdened with feelings leading to more negative thoughts, this could bring the mind to the limit of exhaustion and in case not dealt at the right time or handled accordingly, could take form of mental phobias or even to obsessive compulsive disorder (OCD) and OCD could even make an anxious person condition worse. And Yes, it’s true, in today’s time no one would like to share his/her anxiety problems with the people and the world. Because the anxietic people could ponder upon a small thing or could worry too much and in real it could be turned out nothing. Their various worries include their people, friends and in large society will take them as aliens or an unusual person and because of this, they wouldn’t be surrounding them and will take their talks less seriously as they keep thinking that something horrible is going to happen soon and more above they won’t understand them. But in real, if you have your friends or dear ones having such problems of anxiety, try and explain them that you’re with them because the things would not be of matter to you or such small talks or not discussion topic, but for them it could be the most important talk. The actual problem is when a person is going through anxiety carrying racing thoughts and having a feeling of uneasiness and to another person they think might get loaded with their continuous on going talks which the other person could take as irrelevant. Similarly people who are not having any anxiety problems couldn’t understand the necessary feeling of shivering, fast heartbeats, sweat in palms and face and moreover getting everlasting nervousness. So it could be that way anxietic people hesitate to disclose their feelings to others. 1. The best thing to being done with anxietic people is to sit with them, and talk openly about the situation and try to relax them, that everything is alright. It’s okay they are normal. 2. And at your best part, don’t try to avoid them, as you might get frustrated listening to their talks and sometimes the same talks, have the patience that time, it will serve you better. 3. Take out time for them to make them assure, you’re there to listen to them, whatever things it might be and try to console them, be with them. 4. Make them understand, how professional help will prove beneficial for them, to improve and reduce their reoccurring anxiety. 5. Try to set some activities together so that for anxietic people there is less time to freak out. They could happily get along in activities. Anxiety is not a big issue, it’s normal to have mild anxiety to keep us moving through, but there are also savior things which could keep us away from being anxious. Good Luck with all vital health!